Perfectly located, offering value for money, this is your ideal base for exploring the region. A modern and clean hostel, envoy offers comfort and convenience with a designer flair. Envoy is a breed of hostel which is not only about accommodation, but a way of life. We share your passion for travel and a yearning to explore and discover. 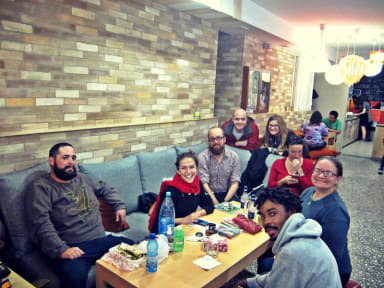 We tend to attract like-minded travellers hence this is the place to meet fellow travellers and connect with others. Everything we have designed and services we offer have the modern traveller in mind. We offer Discount on Tours, Discount at local eateries/ pubs and cafes, Free and fast WiFi, tasty Free breakfast, Free Walking Tour, Free guest computers to use and much more. Have questions? 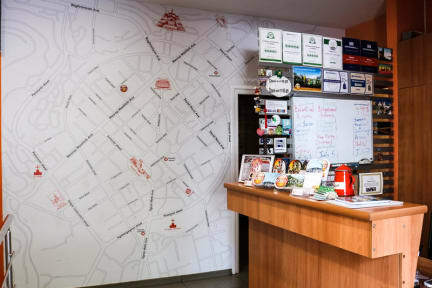 Our friendly and knowledgeable team are here 24/7 to share the best insider tips and the top things to see and do not only in Yerevan but also in all of Armenia. We are here to help you make the most of your travels in our Region.